Peacefully after a courageous battle with cancer at Stedman Hospice, Brantford on Saturday May 5, 2018. Verna (nee Roswell), of Harley, in her 78th year. 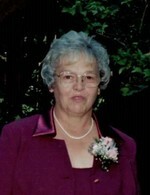 Beloved wife of the late Allen Sparks (1999). Loving mother of Elizabeth & Richard Sloot, Joe & Kelly Sparks, and Vern & Tobi Sparks. Dear grandma of Ashley, Riley, Braden, Garrett, Lucas, Cody and Madison. Also survived by her sister Mary & Wes Swannell. Verna will be sadly missed by her many family and friends.